We’re all used to fantastic, often enormous fish tanks in restaurants, office lobbies and of course at public aquariums. 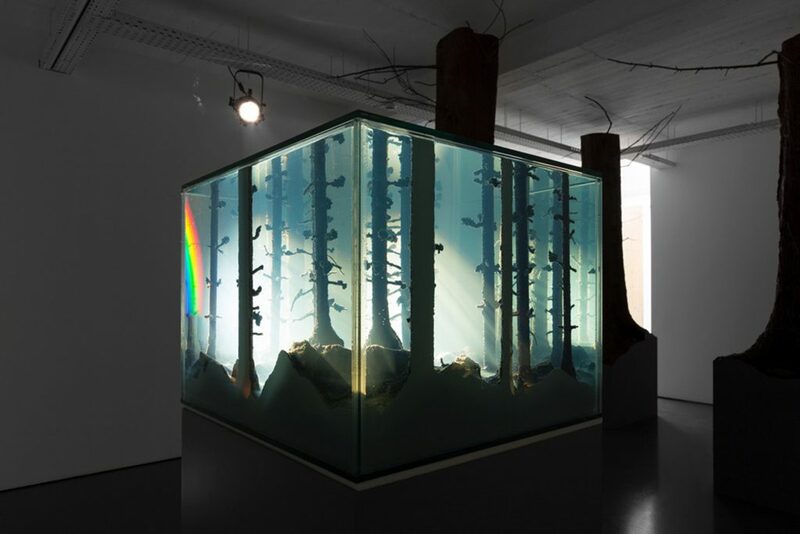 However, these artists have incorporated aquatic themes into their work, to create mesmerising pieces. 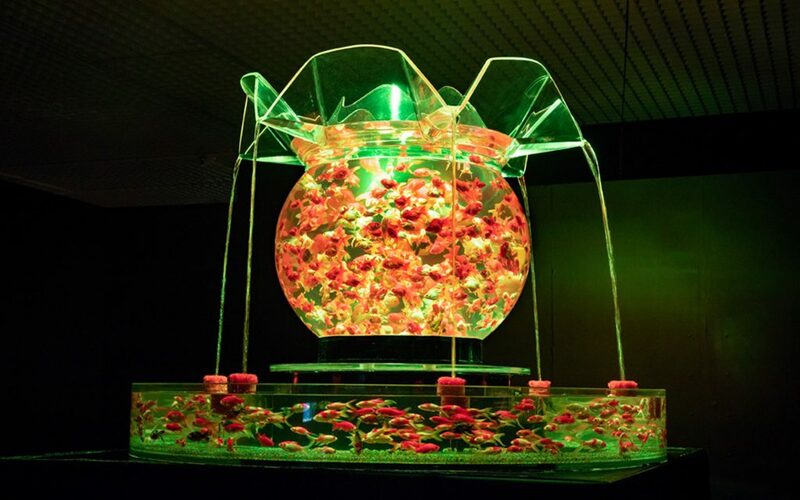 Do you want to see an ‘Art Aquarium’ featuring 5,000 goldfish in illuminated tanks? Then head over to China to catch this exhibition created by Japanese artist Hidetomo Kimura. Situated at the top of the Shanghai World Financial Center until February 17, 2019, it uses 100 fish bowls along with LED lights and projection mapping to create an immersive experience that celebrates Japanese culture. Goldfish were introduced to Japan 500 years ago from China. The goldfish culture formed in Japan from then onwards is as popular today as it was then. Kimura’s installation uses many Japanese elements — the goldfish swim in delicate Edo Kiriko cut glass bowls, while tanks are draped with lace and shaped like Japanese lanterns. There are also tanks in the style of wooden-frames, which hark back to the Edo Period (1603-1868). Light designs create a variety of colourful background images such as Sakura blossoms. Born in Düsseldorf but now based in Bristol in the UK, Mariele Neudecker says she is inspired by German Romanticism and its depiction of individual encounters with the strange, numinous and sublime in nature. 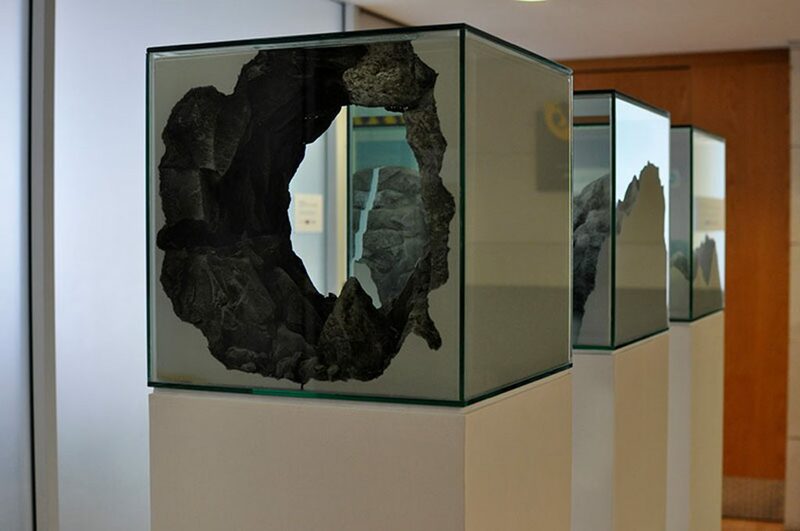 Her work is an exploration of the interphases and overlaps of the two, and three-dimensional, as well as analogue and digital, meaning she uses a range of media – from sculpture to film, photography and sound. Her practice investigates the formation and historical dissemination of cultural constructs around the natural and technological world and notions of a ‘contemporary sublime’. Graduating with a Master of Fine Arts in Inter-media Art from Tokyo University of the Arts, Aki Inomata focuses on how the act of “making” is not exclusive to mankind. Developing the process of collaboration with living creatures into artworks, she presents what is born out of her interactions with living creatures as well as the relationship between humans and animals. 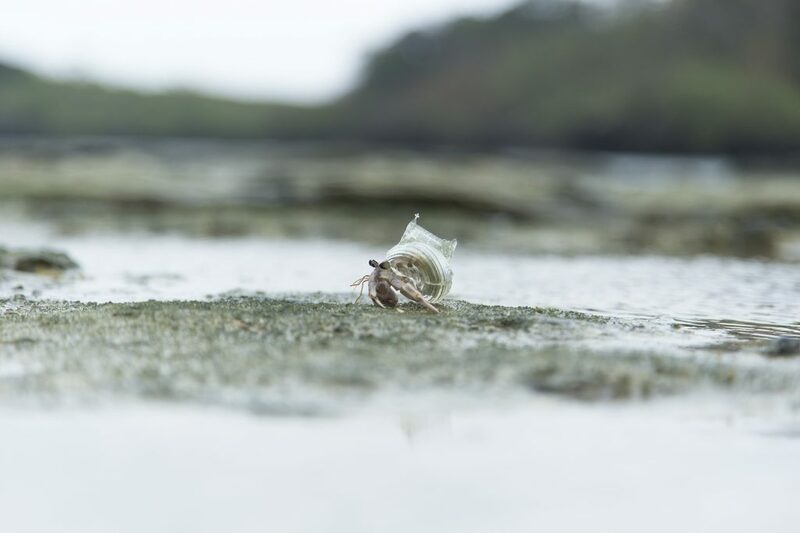 Major artworks include Why Not Hand Over a Shelter to Hermit Crabs, which was exhibited at Thailand Biennale Krabi 2018. This installation comprised city-like shells made for living hermit crabs. Other works include Wear the Dog’s Hair, and the Dog Wears My Hair, in which the artist and her dog wore capes made from each other’s hair. She says: “Living things are living in their singular reality totally different from ours. We have no idea of the process and system with ‘how they think’. They also are out of our control.